1. Clean the fish, cut of fin and tail and make 2 slit on both side of the body. 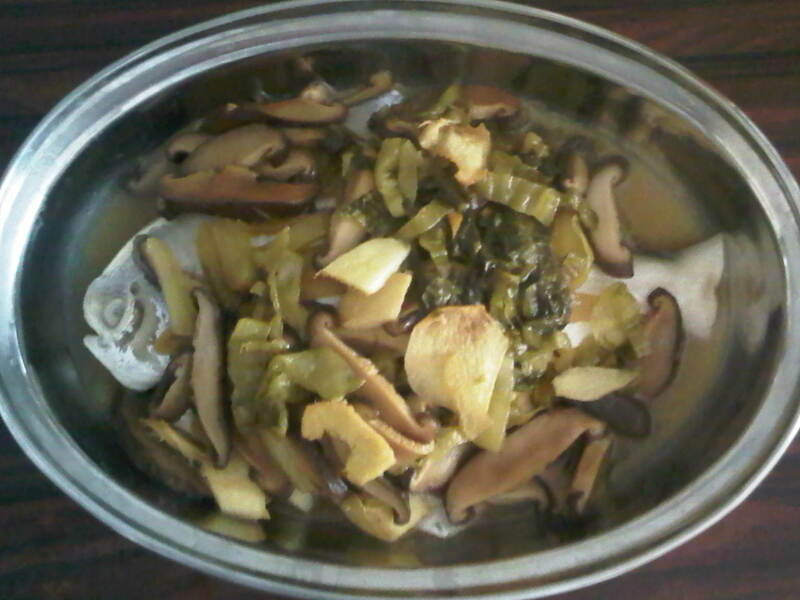 2. stir fry ginger with 2 table spoon oil until fragrance. 3. add shitake mushroom and salted preserved vegetable, add light soysauce and sprinkle dash of salt and pepper. continue stir fry for a minute. 4. pour on top of the fish and place the fish on top of the steaming rack and steam for 10 mins.